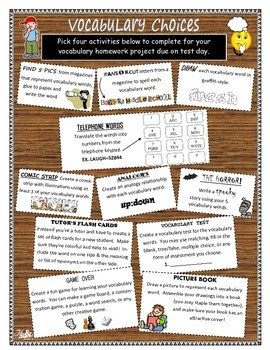 Are you in need of additional vocabulary assignments/activities? Do you have students that need more challenging and engaging assignments? This activity sheet is just what you need! My students love to do vocabulary homework now more than ever before! They have a choice and the activities are fun to complete!